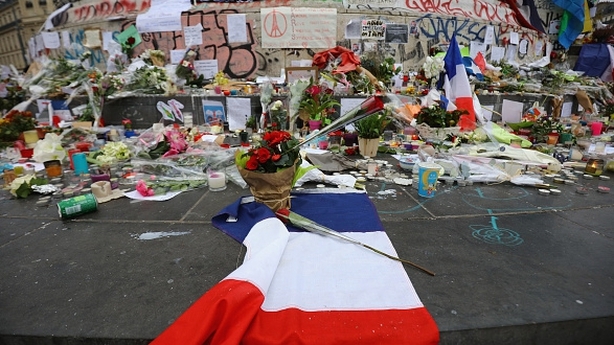 The death toll from the attacks in Paris last Friday has risen to 130. French Prime Minister Manuel Valls said that one of scores of people injured in the coordinated attacks had died from their wounds in hospital. 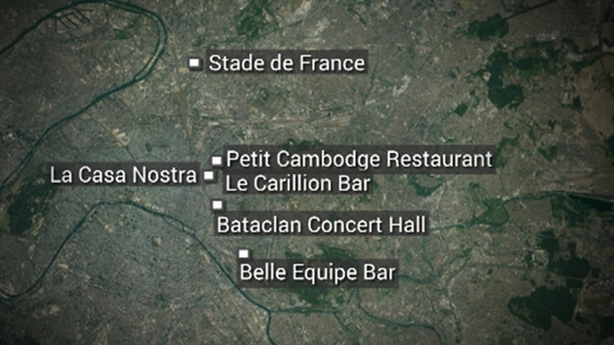 Three teams launched assaults on the Stade de France, Bataclan concert venue and several bars and restaurants on 13 November. 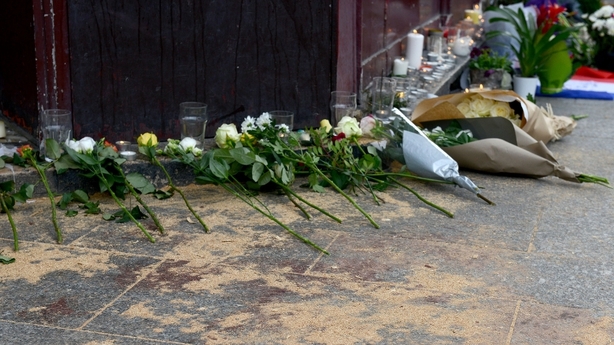 The highest death toll was at the Bataclan where 89 people were killed. 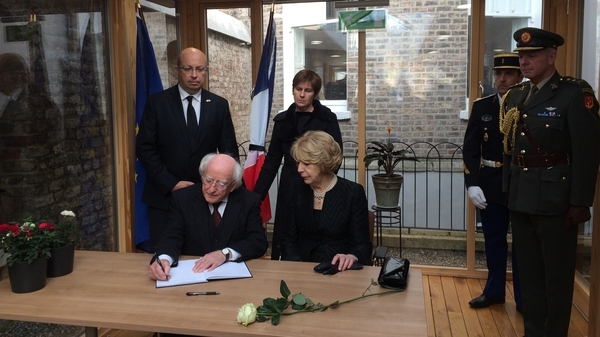 The victims will be honoured next Friday at a special ceremony, which will be presided over by President Francois Hollande, at the Invalides in Paris, the burial place of Napolean. The mayor's office said the first funerals are also due to be held next week. 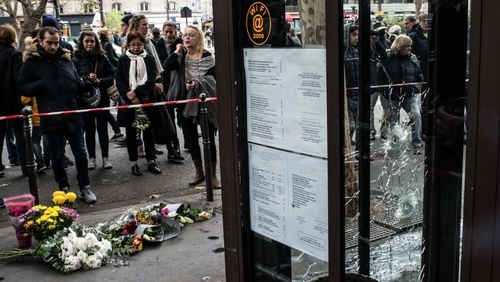 Police in France have carried out 793 raids since last week's attacks, the interior ministry revealed. In five nights of targeted operations 90 people have been held and 174 weapons seized, including 18 military-style firearms, 84 rifles and 68 handguns. A further 164 people have been placed under house arrest under state of emergency powers, and €250,000 were seized. It has emerged that the man believed to have been the mastermind behind the attacks was seen on CCTV on the night of the killings. Abdelhamid Abaaoud was caught on camera at the Croix de Chavaux metro station in the eastern district of Montreuil. The footage places him near to where a Seat car was used by the terrorists was found. Interior Minister Bernard Cazeneuve said Paris had received "no information" from other European countries about Abaaoud's arrival in Europe, despite the fact he was a known jihadist and the subject of an international arrest warrant. Police sources said a tip-off from Moroccan intelligence had helped track the 28-year-old to a building in St Denis where he died on Wednesday along with two other people, including his cousin. Two of the three suicide bombers who blew themselves up had passed through Greece posing as migrants fleeing the Syrian war, prosecutors said today. It was already known that one of the men had been registered in Greece - a key entry point for migrants - on 3 October but a second man "has been formally identified as being the individual whose handprints correspond to those of the check in Greece" on the same day, French officials said. 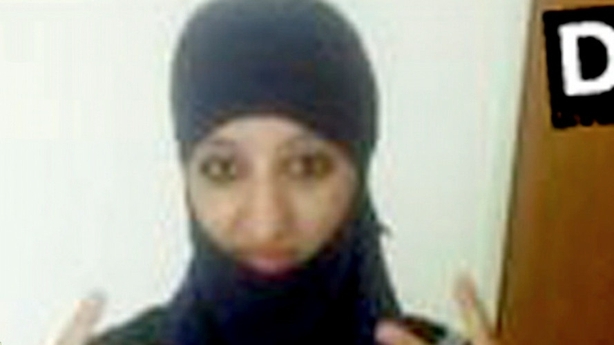 However, French police have now said that the ringleader's cousin Hasna Aitboulahcen did not blow herself up in the raid - contrary to earlier reports. A third body was found in a badly-damaged apartment block where the suspected ringleader of the Paris attacks was killed in a ferocious shoot-out with police. Belgium charged one suspect with involvement in terrorism over the Paris attacks and released one other as part of a separate investigation into suicide bomber Hadfi Bilal, prosecutors said. "The person that was arrested yesterday has been charged by the investigating judge with participation in terrorist attacks and participation in the activities of a terrorist organisation, and placed into custody," Belgium's federal prosecutor said in a statement. The announcement came a day after Belgian police arrested nine people in Brussels during raids connected to last week's attacks with the charged suspect now the only remaining in custody from that roundup. "In the ... case against Hadfi Bilal, the person that was arrested yesterday has been released," the statement said, adding that "any additional information or further details shall not be released". Earlier today, Belgian authorities extended the detention of two men charged with aiding fugitive Paris attacks suspect Salah Abdeslam on the night of the attacks. Hamza Attou and Mohammed Amri, who were charged earlier this week with helping to smuggle Abdeslam out of France in the hours after the multiple shootings and bombings on November 13, will be kept in custody for another week, prosecutors said. Mr Attou's lawyer said his client did not know that Abdeslam was involved in the attacks. Abdeslam, whose brother Brahim blew himself up at a Paris bar, is believed to be in Belgium and is the subject of a huge manhunt. Elsewhere, more than 200 musicians and singers from all over the country are taking part in a "concert for Paris" at St Patrick's Cathedral in Dublin tonight. The programme of French music was organised by musicians who wanted to show solidarity with those affected by the terror attacks in Paris a week ago tonight.